My mother is the office manager for a small city’s police department and several years ago I visited her at work, and she introduced me around the station. The K9 came in with his handler, and the dog ran up to my mom for a happy dog hello. He noticed me and immediately went into a Who-The-Hell-Is-In-My-Office mode. The officer gave him the ‘Be cool.’ command, and the dog was instantly friendly. After a quick sniff to make sure I wasn’t carrying drugs or explosives (Luckily, I had locked them all in the trunk. ), the dog sat in front of me so I could pet him. I laughed a bit thinking she was joking. “No, she’s serious. We’re so close that he’d get a couple of good bites in before I could pull him off if you touched me,” the cop said gravely. Needless to say, I was very careful not to touch the cop. LAPD officer Scott James had the bad luck to get caught up in firefight with a group of masked man that killed his partner Stephanie and severely wounded him. Months later, Scott is hiding the extent of his physical injuries that should have gotten him an early retirement. He's also suffering from a whopping case of PTSD and survivor’s guilt. He has asked to be a K9 officer not because he really loves dogs, but because he doesn’t want to deal with a human partner. German shepherd Maggie was a Marine who sniffed out IED’s, but she was wounded in an ambush that killed her beloved handler. Heartbroken at the loss of her master and suffering from the dog form of PTSD, Maggie is about to be kicked out of the LAPD’s K9 program for being too surly and gun shy to be of any use. When Scott hears Maggie’s story, it strikes a chord, and he’ll need a good partner since he’s still determined to help track down Stephanie’s killers. Robert Crais is good at writing damaged people. Whether it’s an ugly childhood like he created for both Elvis Cole and Joe Pike or a cop left shattered by a traumatic injury like Carol Starkey in Demolition Angel or a police negotiator who loses his nerve after one bad day like in Hostage, Crais always makes you feel their pain. He includes empathy for suffering that is strangely lacking in a lot of crime fiction. So the story of Scott and Maggie is right in his wheelhouse with the two damaged creatures forming a bond. You can’t help but like these two, and Crais is careful not to overdo it since it’d be really easy to play the injured dog card and ride it right to the best seller list. As always, he put in the effort to give a quality crime story and not just lean on the tragic parts too much. 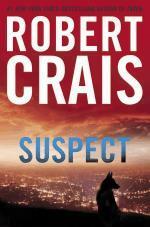 However, this isn’t the best Robert Crais I’ve read. That’s kind of damning it with faint praise though. While I liked it a lot, it didn’t have quite the emotional heft of some of the recent Elvis Cole books I’ve read, and the mystery/action stuff wasn’t as relentless as in Hostage. But it’s still good, and Crais’s good is more than a lot of writer’s best. Plus, you know, it’s got a dog in it. How can you not like that?